Balance Bikes are the fastest way to transition a child from their first training bike to a bicycle. How do they make the transition? And how can parents help? Here is a 5-step guide to get your child trained on a Balance Bike and ready for a big kid bike. First things first, if you don’t have a balance bike, head to our Balance Bike shop now. Balance Bikes will soon be available in select retail stores and supermarkets. 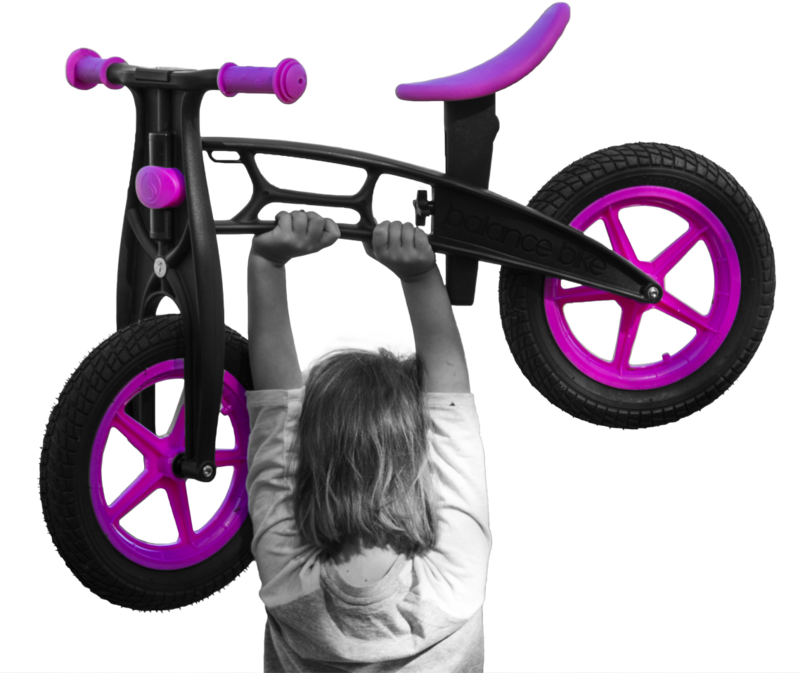 They offer both metal and plastic bikes in six exciting colors and kids will love picking out their favorite. Step 2 – Suit Up! It is so important to keep children protected. While Zompers Balance Bikes are safe, accidents are always bound to happen. Make sure your kids are always equipped with the proper safety wear such as helmets and pads before letting them get on a Balance Bike. Now it’s time for the fun part; it’s time to ride! So hop on and go for it. For some children, it is easiest to start off standing and walking. Others may go immediately to sitting and walking. The important part is to make sure children are using their feet to propel forward on the bike. The great thing about Balance Bikes is a child can progress as slowly or quickly as they feel comfortable. Just start off slow and move forward from there. They’ll be running and gliding in no time! 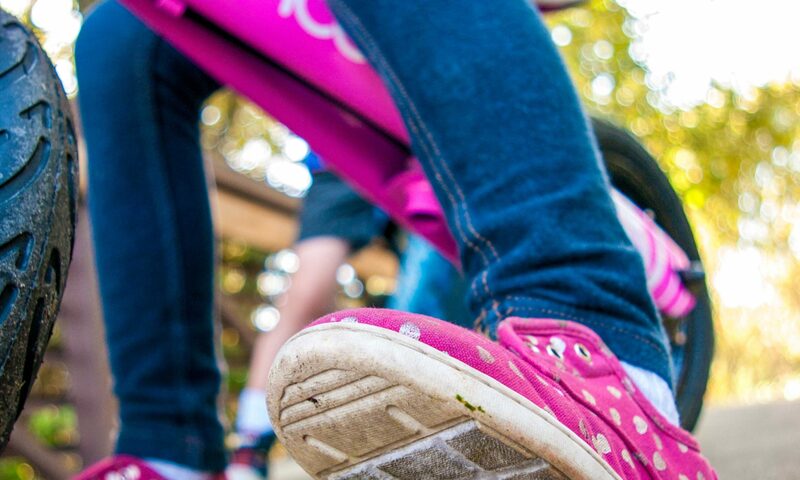 If your child is getting good at using their feet to propel forward on their bike, it’s time for the next step. Help your child lift their feet and continue moving forward. This is the most important part of the switch from a Balance Bike to bicycle. Don’t worry, if they get scared, all they have to do is drop their feet back down on solid ground. Balancing is the hardest part of riding a bike and this is the easiest way for children to learn that skill while simultaneously learning how to steer. Balance is the most important skill to master, so be sure to make that your child’s main focus while learning. The great thing about Balance Bikes is that they can be used for as much or as little time as needed. Practice is the easiest step in the whole process. Your child will love getting outdoors and practicing and you will love sharing the experience with them. It’s exciting and simple to learn how to ride a bike with Balance Bike. Just five easy steps and your child will be well on their way to riding with the big shots. Stay updated on all things Balance Bike through social media.